This 2nd grader tells a story about playing at a friend's house. I plad hide and seke with Dee Dee. and then I went to Dee Dees hose. Dee Dee liks to plae with me. But when I hide to long, Dee Dee gets mad. Then its ovr. 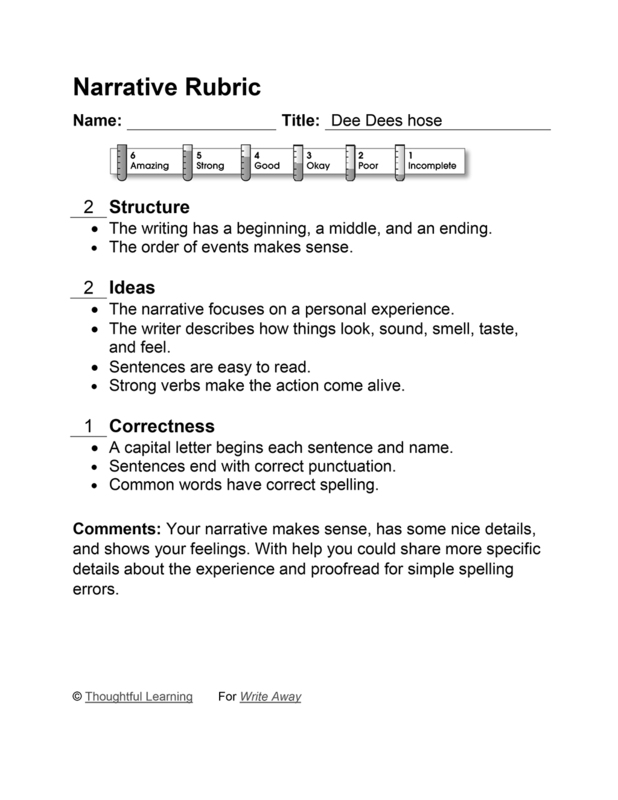 Dee Dees hose by Thoughtful Learning is licensed under a Creative Commons Attribution-NonCommercial-ShareAlike 4.0 International License. Based on a work at k12.thoughtfullearning.com/assessmentmodels/dee-dees-hose.